Wow… What a freakin’ trip this movie was! I am not even sure where to start with this movie. A rip roaring spoof of Sci-Fi classics, this movie is fun from start to finish. Our protagonist, Buckaroo Bonzai is a modern (well, 1984 modern) Renaissance man. A world leading Brain Surgeon, stunt driver, rock star, physicist ladies man that is awesome at everything he does. 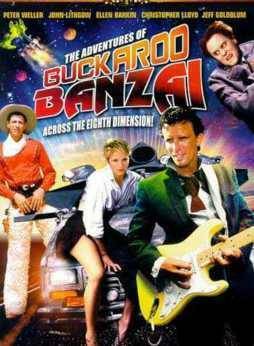 While testing a well… ford van capable of breaking the sound barrier, Buckaroo Banzai also tests and proves that matter can pass through matter by taking advantage of the spaces between atoms (I think), by driving right through a mountain. That experiment unwittingly opens a door to the eighth dimension allowing the alien race the Red Lectroids escape from their interdimensional prison to threaten the Earth and the good Black Lectroids. On the brink of a space war, Buckaroo and his band of associates save the world. Along the way he meets and saves a woman (Elin Barkin as Peggy Priddy) first from herself and then from the Black Lectroids, led by Lord John Whorfin who has taken over the mind and body of Dr. Emilio Lizardo (played brilliantly by John Lithgow). This is a stylishly fun film that deserves way more recognition that it gets. It is chock full of big name actors putting on great, bizarre performances. Extremely 80s in look and feel, this is a great campy film Fans of the film are rabid, and you can find many fan sites all over the web, I say this film is a must watch for the lovers of the bizarre and fun. This is a movie about a Space Shuttle crew that launches a satellite that appears to be destroyed when it impacts with a U.F.O. and the government conspiracy to cover it up. 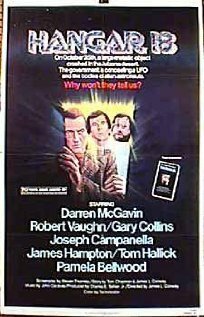 Staring Gary Collins and Robert Vaughn (and quite a few “oh, that guy” actors), this movie revolves around the government attempting to cover up a collision between a satellite and a U.F.O. and the subsequent retrieval of an intact U.F.O. along with it’s occupants, and two Shuttle Astronauts attempting to get to the bottom of what is becoming a cover up that may end up with them blamed with destruction of the satellite in order to hide the fact that the Earth has been visited by Aliens. So, it’s pretty much a race between the Astronauts trying to find evidence of what they themselves witnessed and the governments attempt to hide all such evidence. Then there’s the group at Hangar 18 working on the captured U.F.O. and it’s inhabitants. 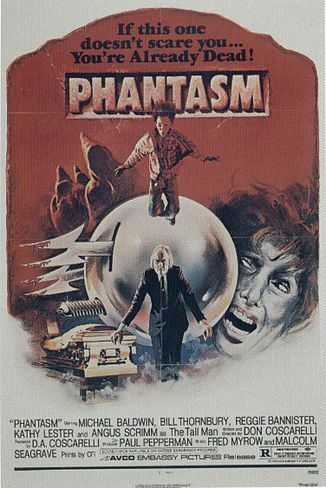 Tepid acting, poor writing and a lame story, yet I still enjoyed this a bit – partly due to the memories it brought back from my childhood – I saw this back when it was released and thought it was awesome (sure is easy to impress a kid! ), and part for how serious it tries to be. The eighties were interesting times, but this isn’t a very interesting movie. I watched it on Netflix and if you have Netflix you might want to give it a go, as it won’t cost you anything extra (but your time). It’s also available on Youtube in it’s entirety so there’s another option to watch it. Another fun groaner, Sssssss stars a youngish Dirk Benedict (the Original Starbuck from the first Battlestar Galactica and Templeton ‘Faceman’ Peck from the A Team) as David a student sent to work with Doctor Stoner, a world famous (but apparently underfunded) herpetologist played by Strother Martin who ends up becoming the subject of a diabolical experiment to change humans into snakes. 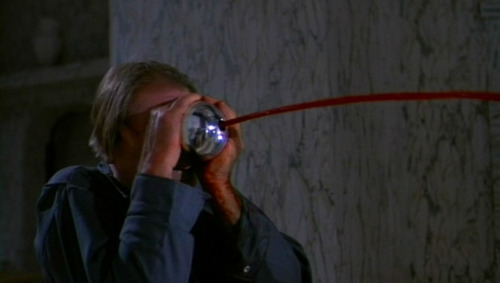 Dr. Stoner gives David a series of shot that he tell him are inoculations against the venom of the King Cobra, but are actually the Dr.’s secret serum that transforms humans into snakes. transforming a human to a snake to a freak show as a “Half Man Half Human” exhibit and you have most of what makes up this movie. There is some unexplained animosity between Dr. Stoner and a Professor at the local college or University – or if it was explained, I didn’t take the time or effort to absorb that information. Also, it’s the only movie with a mongoose that I’ve seen in quite some time (I haven’t seen Rikki-Tikki-Tavi since I was a kid). Well this is a creepy, well made horror flick with a dash of Sci-Fi that left me satisfied. Basically an alien entity known as the Tall Man is stealing bodies, and reanimating them and exporting them back to his planet as slaves. Acquiring the bodies is easy as the tall and has set himself up as an undertaker. Unfortunately (for the Tall Man), a couple of friends attend their recently deceased friend’s funeral, starting the exposure of the Tall Man’s operation. One of the two friends has recently lost his parents and is in charge of his younger brother. The younger brother is convinced that his older brother will be leaving him, and therefore finds himself always following him around – including to the funereal. While hiding out, spying on his bother and the funereal he notices some weird stuff happening (like the Tall Man lifting the casket by himself and placing it in the back of the hearse – that’s a ridiculous amount of weight to be handled by one person. Trying to convince others that there’s shenanigans going on, he pretty much fails, until he is able to enter the mortuary and gather some unusual evidence that convinces his brother of the weirdness going on. 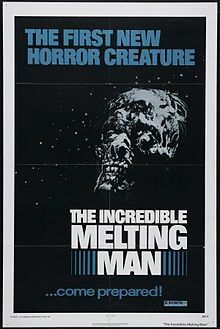 The rest is a battle between the broyhers (and the older brother’s buddy, Reggie – the Ice Cream truck driver) against the Tall Man and his army of shrunk down reanimated bodies (oh – and a cool killer flying chrome robotic ball). This is a stylish film that is surprisingly enjoyable, despite the fact that I can’t stand the acting of a couple of the characters – not unusual with these types of films . This is one that I definitely suggest watching, and as it is part of a quartet of films (that means there is three sequels), you can pretty much be sure that I’ll be reviewing those over the next few weeks. 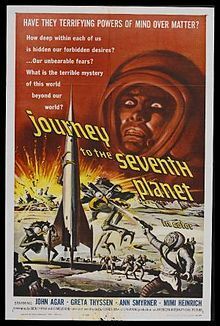 This film was also featured on the always awesome Mystery Science 3000 TV show. Suggested watching? Not really, but to be honest it wasn’t even close to being as bad as many of other movies I’ve watched over the last few weeks. So bad… But it made me laugh. A short film (66 minutes), I managed to get through this one with my buddy a couple of days ago. The idea: a 500+ year old homicidal turkey get revenge on society for the injustices against the native, North American. Really bad, Evil Turkey monster, cheezy death effects – standard fare for these movies. 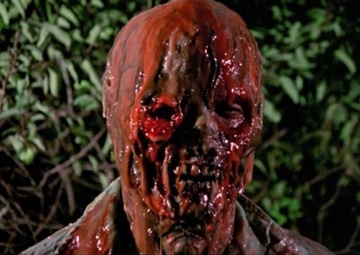 In a away it fells a little like a Troma film (but worse – far worse). I managed to ghet through this mess, and although I can’t say that I would really suggest watching it, if you read this blog, you most likely will watch it. Available on Youtube for free, you won’t have to work to find a copy. 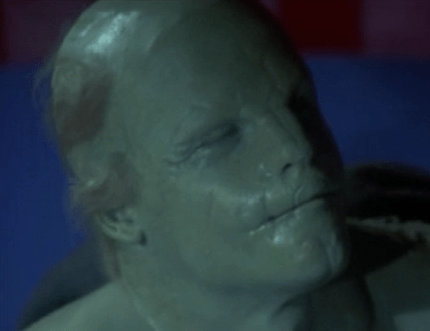 Another weird, cheezy Science Fiction movie – that’s two in one day! This one is a little older than the last (Cosmos – War of the Planets – 1977), but don’t let that fool you: Iit packs a full arsenal of cheeziness. Do they defeat the Alien? Come on – do you really need to ask that? Watch it your self if you need to know. It’s a little boring and dry, but it’s a movie. It’s a little reminiscent of 1972 Polish Sci-Fi classic, Solaris (a little, I said). I know you can find a low quality copy on Google Video (of all places), and I watched it on Netflix, so if you want to see it, you shouldn’t have much trouble finding it.